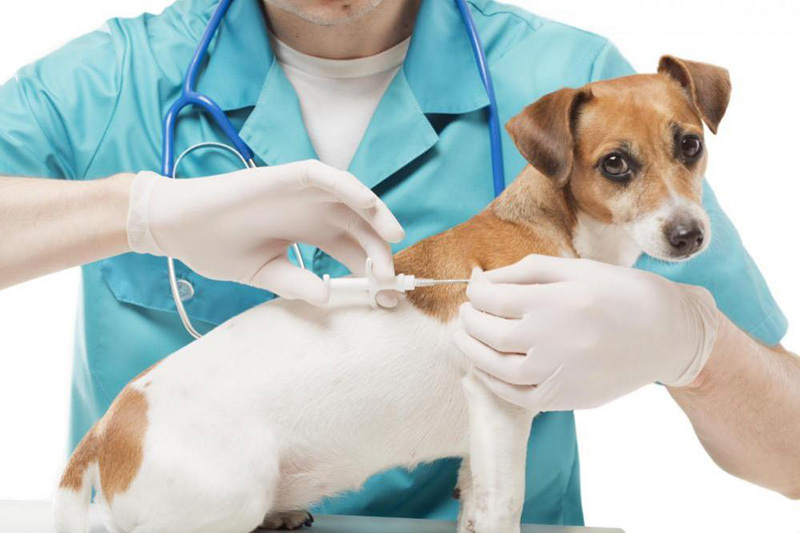 Our veterinarian in Richmond TX recommends pet owners to consider getting radio-frequency identification or RFID pet microchips for their furry friends. This rice-sized microchip implant utilizes electromagnetic fields to identify pet tags that have essential contact information stored upon them. When a lost pet is discovered, it can be taken to any vet or shelter for a chip scan that can help reunite them with their owners. When your family’s beloved pet goes missing, it’s a traumatic situation. Your vet in Richmond wants you to know that pet microchipping is essential in helping you quickly be reunited with your lost pet. Pet microchipping in Richmond is a fast and easy process. It only takes a few minutes to implant so rest assure your Richmond vet has plenty of experience taking care of this task for pet owners in the region. Pet chipping is a wonderful addition to traditional collar pet tags if you want to increase your chances of recovering your pet, should they go astray or get lost. This small chip to find lost pets is a passive RFID device, meaning that it is only ‘active’ when a scan is being performed. The scanned chip will reveal a code connected to a national registry database to reveal the owner and/or veterinarians contact information. Once contact has been made, owners simply need to bring in the registration certificate provided by their pet chipping vet in Richmond to reclaim their beloved animal. It’s just that easy! RFID pet microchips are inserted just beneath the skin and won’t fall off like many pet tags on collars often do. This increases the chances of recovering your pet exponentially! Microchips are ‘passive’ ID mechanisms, so there’s no need to be concerned about exposure to radioactivity or electromagnetic frequencies invading your pet’s system. They are only active during a scan. Your information in the national pet ID registry is wholly confidential. The scanning vet or shelter operator only receives a code that is then used to correlate with owner’s identification information. Registry operators handle making the contact connection from there. Pet microchips in Richmond require no maintenance and generally function for the life of your pet. With so many benefits and little to no drawbacks, there’s no reason to not get this valuable safeguard for your pet just in case they take an unauthorized trek around the neighborhood. Pet microchipping is not a task you will want to put off. The sooner you come in to see our vet in Richmond to get your pet microchipped, the sooner you can breathe a sigh of relief to know your pet will be safer with it. Here at Kindred Care Pet Hospital, our vet in Richmond wants you and your pet to have a long and healthy friendship. If your pet gets lost, microchipping can help you reunite with them quickly. Contact us today at 281-265-0009 for more information or to schedule an appointment.